One great thing about Ultimate Fighting Championship (UFC) pay-per-view (PPV) events, like the upcoming UFC 202 extravaganza on Sat., Aug. 20, 2016 inside T-Mobile Arena in Las Vegas, Nevada, is the release of free fights to help build pre-fight hype. 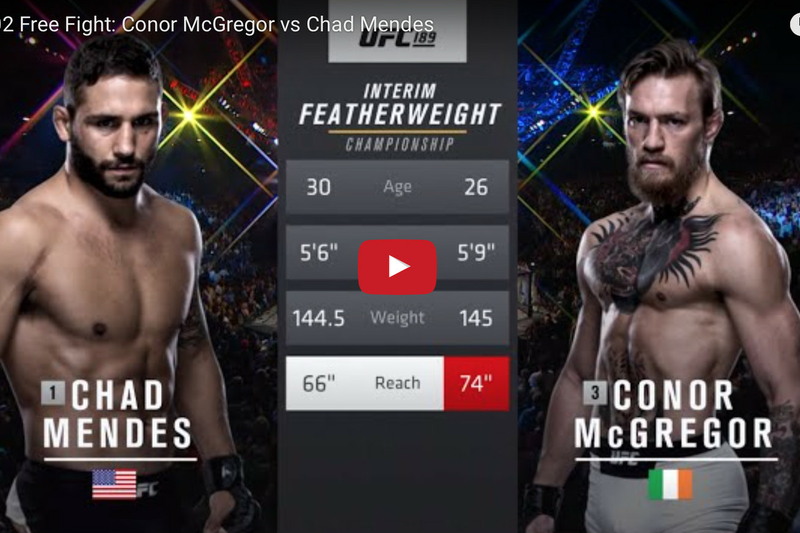 Conor McGregor will try to exact revenge against Nate Diaz at UFC 202, and to see what kind of performance “Notorious” is capable of, the promotion posted the full fight video of his UFC 189 win over Chad Mendes, one which gave him the interim featherweight strap. The Irishman would move on to unify the 145-pound titles at UFC 194 later that year.